Being a good scientist requires the ability to think in highly complex ways. Being a successful scientist requires even more: To wrap all this complexity up into a simple question/answer pair. The reason behind this phenomena is that science has internal and an external aspect. Internally, things have to be sound and correct. New circumstances have to be modelled and put into numbers in a reasonable way. Some say there is even math and statistics involved. But externally, science has to communicate itself. It's about getting money and attention. But most importantly, it's about understanding. Why is this research important? Only if (s)he excels on both fronts will a researcher be really successful. Take Stephen D. Levitt. He is one of the highest-praised young economists in the USA. He is doing sound work of course, but his greatest ability is to ask simple and appealing questions and then answer them with complex statistics. 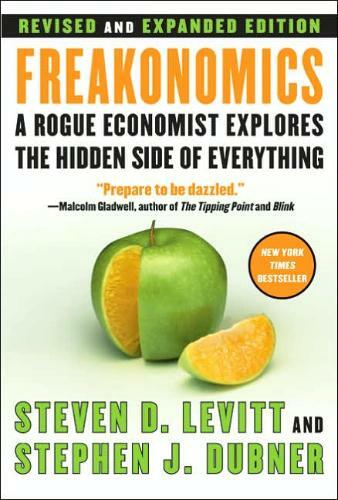 Then, he published the answers in a highly readible book: Freakonomics. He asks qwuestions like "Do real estate agents actually work in the interest of their clients? What makes successful parents? Should we make DNA sampe of dog poo to identify owners who don't clean up? Levitt can alternate between thinking simple and thinking complex. And he is not afraid to be heard asking asking seemingly childish questions. In reality, Levitts simpe questions may sometimes be the result. What triggers most ersearch he did is the availability of good data. He performs regression analysis (in which one controls for all variables but one to test for its effects) and thus needs big data sets. Most of these data sets are extensive surveys or test/competition results, but there us even the occasional curiosity like the crack dealer gangs bookkeeping records, secured by a colleague of Levitt. So this may be what makes a creative scientist. Whatever comes first, a good question or a promising tool - Levitt is able to find the other and then formulate a good story around it. P.S. Another thing that makes a good scientist is also related to communication: Being able to put your work in the context of other researchers. Levitt doesn't provide a lot about this, but that can have two reasons: First, Freaconomics is popular science so readers generally don't care. Second, this context-provision is most important for young scientist to be accepted (as I currently experience) and maybe becomes less important when you climb the ladder.